Rohith’s suicide brought the lacuna of our modern institutions at the forefront and showcased how places for higher learning are intrinsically insensitive towards Dalits. Note: This article was first published on January 17, 2018 and is being republished on January 17, 2019, Rohith Vemula’s death anniversary. The above words are Rohith Vemula’s last, written in his suicide note. They serve as a critique of the contemporary social and political conditions. If we go through his letter, we can see that there is a quest to be free from the given caste body and to participate in the public as a normal unencumbered self. He wanted to become a writer like astronomer and scientist Carl Sagan. However, Rohith understood that he was nothing but an enslaved body, identified by filthy and degraded nomenclatures. In the matrix of caste, there is almost no space for a free individual. For Rohith, draining the filth of caste identity was a poised hope and he, along with his friends from Ambedkar Students’ Association (ASA), was struggling for this cause. However, modern institutions restricted them from making such courageous choices. Instead, he was punished for his political acts. Three years after his death (January 17, 2016), his body and soul still haunt us for failing him in achieving his dreams. Rohith’s suicide is the symbol of systemic oppression, institutionalised discrimination and criminal negligence by the University of Hyderabad. His death became a quick impetus for a nationwide mobilisation demanding ‘Justice for Rohith’ and brought to the forefront the apathy, hatred and discrimination that the Dalit students face in institutions of higher learning. Multiple testimonies of Dalit students across universities have established the fact that the non-Dalit faculty members, authorities and other members of the institutions discriminate and humiliate them. For instance, a non-Dalit member’s refusal to share his/her hostel room with a Dalit, giving minimum marks to Dalit students in viva-voce exam, not allotting a supervisor to a Dalit student on time, hurling abusive caste comments are some of the known everyday cases of discrimination on campuses. In addition, Dalit political and social activities are labeled with degraded adjectives and threatening consequences. The celebrated idea of the university as a free and democratic space is not available to Dalits. Their presence in classrooms, academic discussions and public spheres is seen as a challenge to the superiority of the social elites. Dalits are not only punished and targeted for raising their political voices against the dominant elites but are seen as a subject of hatred and contempt in normal social living too. A Dalit is seen as a contaminated body due to his/her degraded social identity; his/her language skills are marked as impure; his/her articulation is read as uncooked and academic credentials are graded as non-meritorious. Such humiliating and discriminatory gaze by the social elites deprive him/her of any human agency and she/he becomes, what political philosopher Gopal Guru describes as ‘a walking carcass or a mobile dirt’. 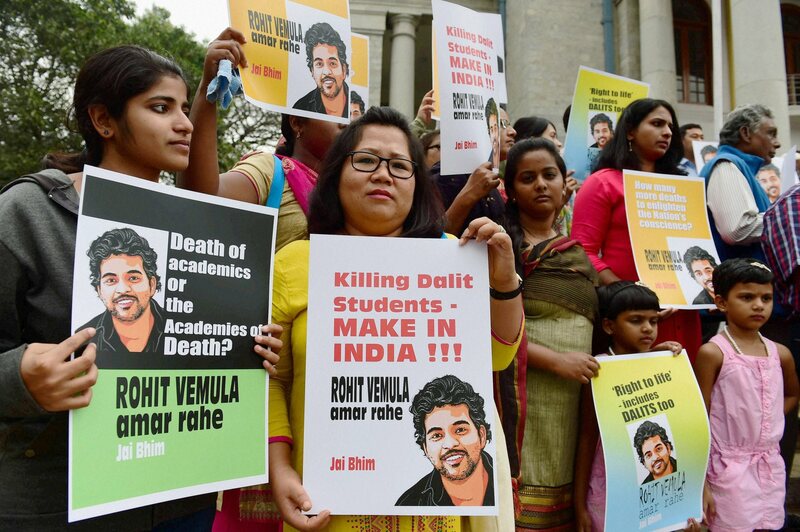 The death of Rohith has become the metaphor of Dalit exclusion in contemporary times. 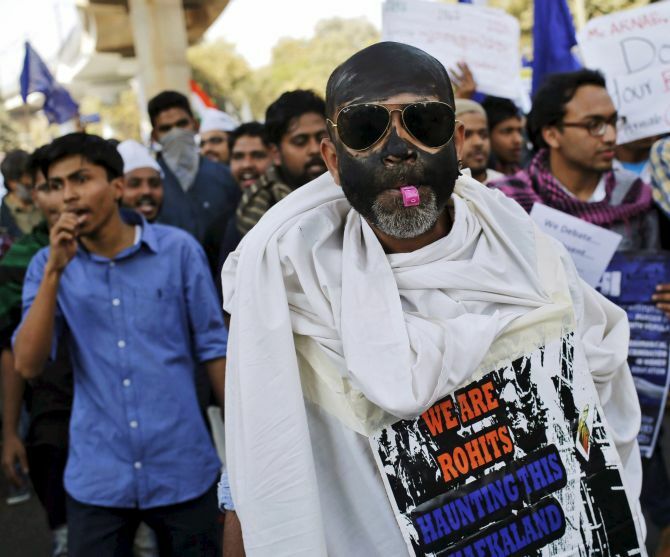 With a right-wing regime at the Centre, Dalit political activism is consistently under surveillance, as it is seen as a threat to Hindutva’s ideological project. In the University of Hyderabad incident that lead to Rohith’s suicide, a systematic engagement of various forces at the campus level as well as from the central government ensured that the Dalit students were punished for their “casteist” and “anti-national” activities. It all started in August 2015. Members of the RSS-backed Akhil Bharatiya Vidyarthi Parishad (ABVP) termed ASA activists as ‘anti-national goons’ for screening Muzaffarnagar Abhi Baki Hai, a documentary on the 2013 Muzaffarnagar riots. When the ASA members resisted the ABVP, it was portrayed as a deadly attack on the ABVP members in which N. Susheel Kumar, Hyderabad Central University ABVP president, was allegedly injured. A proctorial board enquiry denied any such attack and cleared the ASA member of the charges. However, the issue got blown up when Union minister Bandaru Dattatreya, the Bharatiya Janata Party MP from Secunderabad, wrote to Union human resource development minister Smriti Irani saying that the university had become a den of “casteist, extremist and anti-national politics”. The human resource development ministry took swift cognizance of the report and ordered the newly appointed vice chancellor, Appa Rao, to ‘expedite’ the enquiry. Due to this pressure, the university administration, without undergoing a fair proctorial enquiry, took immediate action and five Dalit students were suspended, including Rohith. The students were barred from the hostel and mess premises. They were also restricted from using the library and contesting student elections. On January 3, 2016, the suspended students were ordered to vacate their hostels. The students decided to protest against such discriminatory acts at the ‘Velivada’. The university administration refused to negotiate with the students. Nearly two weeks after the protest, Rohith, deeply depressed and humiliated, decided to make a loud statement against the brutal establishment. He committed suicide. Rohith’s suicide shows that modern academic institutions are not free from oppressive Brahmanical hegemony. The academic environment in most campuses is more conducive for upper caste Brahmanical cultural values, and Dalits are often treated as aliens. However, in the protests against the institutional murder of Rohith, a new robust Dalit agency has emerged that has cracked the celebrated mask of the university as a free and fair space for all its subjects. There is no institutional mechanism or legitimate space within academic institutions to look into the problems faced by Dalits in their everyday campus life. The institutions are unaware of any procedural guidelines that should be implemented as corrective measures to address social, political or even psychological issues that the Dalits face during their academic career. The Scheduled Castes and Tribes (Prevention of Atrocities) Act, 1989, (SC/ST POAA) is one powerful legislation to fight social injustice against Dalits. But it hardly deals with specific cases of discrimination, atrocities and other institutional negligence that Dalit members in academic institutions go through. Further, within academic institutions, Dalit students and other members face subtle and strategic forms of harassments and human rights violations, which may not come under the purview of SC/ST POAA. Rohith’s suicide brought this lacuna of our modern institutions to the forefront and showcased how the places for higher learning are intrinsically insensitive towards Dalits. The death of Rohith also brought important shifts in student politics and its agenda. It mobilised Dalit students across the country. The issue of caste discrimination in academic places became a mainstream topic of debate. In this regard, the demand during the ‘Justice for Rohith’ movement made by the Joint Action Committee for Social Justice was a valid and impressive proposal. The committee demanded that the government must introduce a ‘Rohith Act’ for providing comprehensive legislative protection to Dalit students in institutions of higher education. In the absence of any influential statutory or legal body, it becomes extremely difficult to address issues related to caste-based discrimination and violence. This was one crucial public policy prescription that the movement has crafted and made into an important demand. Second, at a time when the ‘Justice for Rohith’ movement was gaining wider support, we found ourselves caught in another controversy that generated in Jawaharlal Nehru University. Under the flimsy allegation of shouting anti-India slogans, the then JNU Students’ Union president Kanhaiya Kumar was booked under the anti-sedition law and was sent to judicial custody. This incident is linked with the ‘Justice for Rohith’ movement wherein under a pretext, the current political establishment is hell bent on destroying spaces of higher learning. However, students of both the universities built militant resistance against the insensitive university administrations and contested the political vendetta in the most heroic manner. Kanhaiya Kumar utilised this opportunity to address the archaic question of caste-class relationship. He proposed a political construct of ‘Dalit-Left Unity’ with an imaginative slogan of ‘Jai Bhim-Lal Salaam’. He aspires to redefine the classical Left position on freedom, social justice and secularism by bringing Babasaheb Ambedkar and constitutional ethics into the discourse. Such interventions have critical and constructivist abilities that highlight the limitations of the official Left in addressing caste issues, and also reappraise Dalit politics that is often accused of undermining the grand assaults that right wing politics has unleashed against the people. In both these cases, the university communities defended their right to dissent, free speech and intellectual autonomy. The ‘Justice for Rohith’ and ‘Save JNU’ movements provided an ideological platform where the issues of freedom of speech, nationalism, social justice and the method of critical enquiry were sincerely debated. These deliberations helped in making academic and intellectual life more democratic, inclusive and connected to the real politics. Also, ‘Justice for Rohith’ reintroduced Dalit protest politics and the idea of an independent Dalit civil society. During these protests, the Ambedkarite civil society in all major cities carved out an autonomous space without directly attaching itself to any political front. The independent acts of Dalit resistance by several small and local Dalit groups make the social sphere dialectical between the proponents of Hindutva fascism on the one hand, and the defenders of social justice on the other. In such Dalit civil society activism, there are numerous cultural fronts, social cooperatives and other self-motivated groups that propagate the ideas of social justice. These scattered bodies are creating their own alternative model of socio-cultural protests against Brahmanical hegemony and caste oppression. Most of these fronts are non-political and are sincerely engaged in social, cultural and educational activities. Rohith emerged as a unifying and common force in all these divergent protests. The Dalit movement has re-emerged as a robust social criticism of Brahmanical social values. At the outset, critics can argue that the ‘Justice for Rohith’ movement has not achieved substantive progress in changing the character of academic institutions, nor did it succeed in bringing the Rohith Act in parliament. The accused in Rohith’s murder are roaming free even after such impressive protests and mobilisations. However, one has to accept that Rohith’s death made deeper imprints on contemporary social and political developments. The movement made the political class guilty of its passive and cold reactions, against which an awakened Dalit public decided to protest. Independent Dalit youths in all major campuses became the torchbearers of Ambedkarite ideals and emerged as new agents for social change. The movement initiated new dialogues between struggling groups and provided them possibilities to build political alliances for the future. It became an integrated precursor to other Dalit protests seen in Uttar Pradesh, Gujarat and, very recently, in Maharashtra. 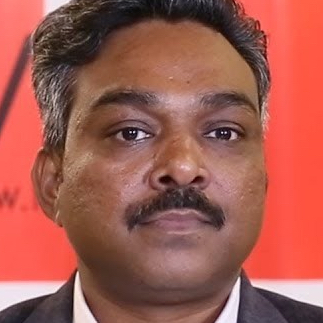 Harish S. Wankhede is assistant professor at the Centre for Political Studies, Jawaharlal Nehru University, School of Social Sciences, New Delhi.